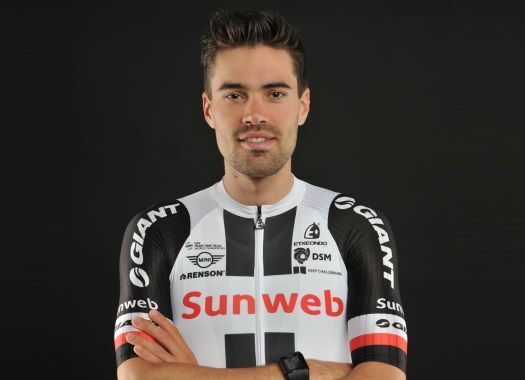 Tom Dumoulin (Sunweb) has crashed during the 10th stage of the Giro d'Italia but he survived the day, remaining in second place in the General Classification. The rider crashed in a curve, but was seemingly okay, returning to the peloton moments later. "I’m happy that the team was so strong," he commented after the stage. "I’m really thankful for all they did. "It was super work to not let (Esteban) Chaves come back and also awesome of Sam (Oomen) to bring me back fast after the crash." Dumoulin didn't seem to have any serious injuries after the crash, but the estimation of the damages will come later. "The first guy in the group made a wrong estimation on that corner and we went into it with too much speed, everyone braked and I was too late and crashed," he explained. "I will take a shower and when the dust has settled I’m sure it will hurt. At the moment I look to be ok, tomorrow we will see how it is. Yates is so strong, it’s unbelievable. He took the intermediate so easy. I was surprised that Chaves dropped and that made the stage very tough. Apparently, he had a bad day which can happen to anyone."